What a day in La Liga. Cristiano Ronaldo scores five goals for Real Madrid while one by substitute Lionel Messi is enough to send Barcelona two points clear at the top of the table. Eliane Daghe: The Record Breaker. Denis Fitton: Best, bar none. Richard N: The complete footballer. Tweet using #bbceurofooty send a text to 81111 or post to the BBC Sport Facebook page. All over in Turin. Reigning champions Juventus have a first point of the season but their performance against Chievo will hardly worry Manchester City ahead of their Champions League group game on Tuesday. Both Atletico and Barcelona now turn their thoughts to the Champions League. Will Lionel Messi return to the starting line-up when Barca begin the defence of their European title away to Roma on Wednesday? Atletico are also away, with Diego Simeone's side travelling to Turkey to face Galatasaray on Tuesday. Big goal in Italy as reigning champions Juventus, who visit Manchester City in the Champions League on Tuesday, score a late equaliser against Chievo from the penalty spot through Paulo Dybala. Four minutes of normal time remaining. Cristiano Ronaldo and Lionel Messi had not scored a league goal this season before today. Now they have six between them. Ok, Real Madrid's Ronaldo has five of them but Messi will be delighted with his one goal. His Barca team are looking down on the rest. Three wins out of three for Barcelona. Two points clear at the top of the table. There's a familiar feel to La Liga. Messi is human after all. Barca win a free-kick and it's within range. Up comes the Argentine and...it's a horrible finish. Huge roars echo around the ground. Messi allows himself a smile. He won't want to see that again. Most new dads are shattered, bags under their eyes and in desperate need of sleep. Not Lionel Messi. He's been at his menacing best since coming on. Huge noise from the home fans as they attempt to rally their team. But it's Barca who are finishing strongly. Lionel Messi is eyeing another goal and take a quick glance up before...blazing over the bar. Barcelona are heading to the top of La Liga. A familiar sight. Luis Enrique's side once again are setting the pace. Let's get this right, Barcelona deserve the lead. They were by far the better team in the first half and their response to falling behind has been the stuff of champions. Lionel Messi, who is left out of the starting line-up after missing training due to the birth of his second boy, climbs off the bench to fire Barcelona ahead with a low finish after being teed-up by Luis Suarez. Messi celebrates by putting his thumb in his mouth. Paul Pogba has made a difference for Juventus since coming on, and they should be level. Roberto Pereyra hits the base of the post with a shot on the turn, and Pogba charges on to the rebound, only for Nicolas Frey to make a stunning block. This game is on a knife-edge. Lots of finger nails are being bitten inside the Vicente Calderon - including a few in both dug-outs. Diego Simeone will be furious. Atletico's lead lasted all of four minutes. They were guilty of taking their eye off the ball. Lionel Messi plays in Neymar and Diego Godin clears the ball with what looks like his hand - no penalty. Rafael Benitez and his Real Madrid players will be happy if the score stays like this. Real were one point clear at the top of the table before this game. After all that drama the game has settled back down. But what's this? Here come Barcelona again. Another patient build-up ends in Luis Suarez fluffing a half chance. An unsurprising half-time change at the Juventus Stadium. Midfielder Paul Pogba, who was being held in reserve for Tuesday's Champions League trip to Manchester City, is on as a substitute for Claudio Marchisio. Juve have never before lost their opening three Serie A matches - but are 45 minutes away from doing exactly that. Fernando Torres gets a standing ovation as he is replaced by Colombian forward Jackson Martinez. I'm not sure I have done Neymar's goal justice. 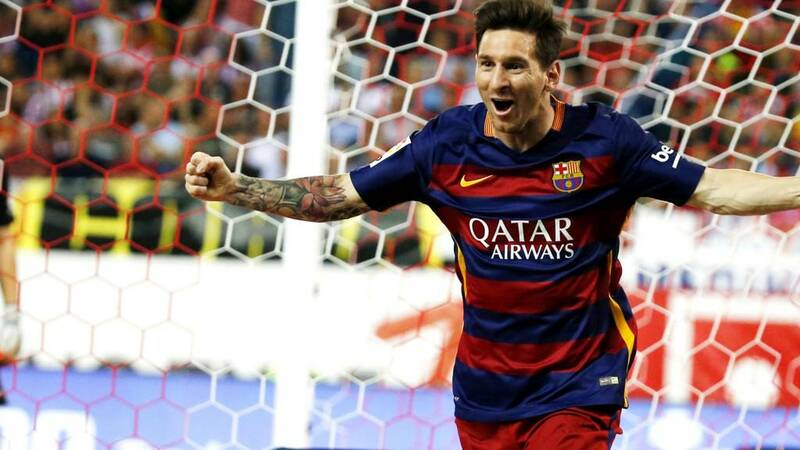 It's a wonderful finish which Lionel Messi would have been proud off. Talking of which here he comes. Messi is on for the final half an hour with Ivan Rakitic making way. The atmospher has completely changed. A few minutes ago Atletico fans were celebrating like they had won the league. Now they have lost their lead...and Lionel Messi is getting ready to come on. Barca pull level through a spectacular free-kick from the boot of Neymar, a curling effort from 20 yards that gave the keeper no chance. Atletico have been on the back foot for most of this game yet they find themselves in the lead against the reigning champions after a sublime Fernando Torres goal. Torres finishes with his right foot, the ball rolling in off the post after a fine break. Vintage Torres. The temperature rises as the referee waves away home penalty appeals after the ball appears to strike Javier Mascherano on the hand. Luis Enrique sends Lionel Messi to warm up. Frantic start to the half as Oliver immediately shows his intent by surging to the edge of the Barcelona area unchallenged. His finish, however, is tame. Back under way. Can Barcelona score without Lionel Messi? John McEnerney: Lean, mean, goalmachine! Over in Italy, reigning champions Juventus , who travel to play Manchester City in the Champions League on Tuesday, still trail Chievo 1-0 with two minutes of the first half remaining. Earlier, Thomas Muller scored a 90th-minute penalty as champions Bayern Munich came from a goal down to continue their 100% winning start in the Bundesliga. Pepe Guardiola's side trailed to Alexander Esswein's spectacular goal for Augsburg just before half-time. But Bayern, who begin their Champions League campaign away to Olympiakos on Wednesday, drew level through Robert Lewandowski with 13 minutes left. Muller made it four league wins out of four after Douglas Costa was fouled. You've been describing Cristiano Ronaldo in just three words after he became Real Madrid's record scorer in La Liga. Morena Mothupi: The football messiah. Sanctified Kaludzu: Outta dis world! Matthew Kanterman: Truly world class. Wayne Bird: Not half bad. Mohammad Malik: Dedicated and complete. Not a great advert for La Liga. More fouls than thrills. A rare chance for Atletico as Fernando Torres wriggles free of his marker inside the box but can't direct his shot on target. Two quick yellow cards as Jose Gimenez is booked for a clumsy challenge on Rafinha before Andres Iniesta, who has never been sent off, is cautioned for hacking down Gabi. How long before the visitors score? They've hit the bar and been denied a penalty. Luis Suarez powers deep into Atletico's half before cutting the ball back to Neymar inside the area. The Brazilian is surrounded by red and white shirts but manages to get a shot away, the ball appearing to strike the arm of defender Jose Gimenez. Barca's claims for a penalty are ignored by the referee. Lionel Messi looks relaxed on the bench. Barca have done everything but score. Both teams are locked on six points after two games but Barca are by far the most threatening side. Atletico are sitting too deep and inviting trouble. The visitors suffer a setback as Thomas Vermaelen is injured and replaced by fellow defender Jeremy Mathieu. An astonishing start in Turin - and the champions of Italy are in trouble. Finnish midfielder Perparim Hetemaj had never previously scored in 141 appearances for Chievo - a run stretching back four years. But he has swept in a cut-back from Valter Birsa to give the visitors a fifth-minute lead. Juve have lost their opening two league matches. Are they heading for a third defeat? Luis Suarez has looked Barcelona's most threatening player and the former Liverpool player is denied by the bar after stretching at the far post following a corner. Barca will be disappointed they are not ahead. This is a bruising encounter, Neymar the next to be sent sprawling after being clattered by Diego Godin. How long before a red card? Juventus are under way in the night's big Serie A game against Chievo. The big team news from Turin is that midfielder Paul Pogba starts on the bench - one of five changes made by boss Massimiliano Allegri, seemingly with an eye on Tueesday's Champions League trip to Manchester City. The opening quarter has been punctured with late challenges and the referee has had enough. He reaches for his top pocket to produce a first yellow card first yellow of the game for Atletico's Oliver for a foul on Neymar. First Ivan Rakitic forces a fine close range save from Jan Oblak before an Atletico counter ends in Fernando Torres blazing wide. Luis Suarez is down holding his face after contact with Gabi. Replays show Suarez has a case as the Atletico skipper appears to make contact. The referee keeps his cards in his pocket. Luis Enrique will be pleased with the start he has seen from Barcelona. Neat, patient build-up from the back and in complete control of the tempo. Atletico have hardly got going and Fernando Torres already looks isolated up front. Bright and breezy start by the reigning champions. Atletico are on the back foot, Neymar and Luis Suarez are causing problems in the final third while Barca's midfield are winning all the challenges. Some things never change in the Vicente Calderon. Every Barca touch is greeted by a chorus of jeers and Diego Simeone is wearing his usual all black number in the home dugout. Barcelona are displaying no early signs of missing Lionel Messi. A strong run by Ivan Rakitic eventually ends in Luis Suarez firing dangerously across the face of goal. Atletico survive. Barcelona get us under way. I have to admit it's a little bit weird seeing Lionel Messi sitting on the substitutes bench. Terrific atmosphere inside the Vicente Calderon as both teams emerge from the tunnel. This has all the makings of being an absolute cracker despite Messi's absence from the start. Atletico Madrid XI: Oblak, Juanfran, Godín, Gimenez, Filipe Luis, Tiago, Gabi, Koke, Oliver; Griezmann, Torres. Subs: Moya, Martinez, Savic, Saul, Gamez, Carrasco, Vietto. Barcelona XI: Ter Stegen, Roberto, Mascherano, Vermaelen, Alba, Busquets, Rakitic, Iniesta, Neymar, Suarez, Rafinha. Subs: Masip, Adriano, Bartra, Mathieu, Munir, Sandro, Messi. Luis Enrique is certainly impressed with Atletico Madrid's recent business in the transfer market. Atletico Madrid were one of Spain's most active clubs in the latest transfer window, bringing in the likes of Colombia striker Jackson Martinez, Argentine forward Luciano Vietto and Belgium midfielder Yannick Carrasco. Spanish playmaker Oliver Torres returned from a loan spell at Porto, while Filipe Luis (pictured) was bought back from Chelsea after one season at Stamford Bridge. Lionel Messi might be searching for his first La Liga goal of the season but the Barcelona forward was all smiles earlier as he boarded the Barcelona team plane for the flight to Madrid. Messi was allowed to skip training on Friday following the arrival of his second son Mateo. Has he got a special celebration lined up if he does score from the bench to mark the new arrival? SoCristiano Ronaldohas become Real Madrid's highest La Liga scorer in history after scoring five goals against Espanyol. What an achievement. Remember talk of Cristiano Ronaldo suffering an early season goal drought? The Real Madrid forward got his account for the season up an running in emphatic style with five of his side's goals in a 6-0 thrashing of Espanyol which took Rafael Benitez's side to the top of the table. That's right...FIVE. In doing so Ronaldo became Real Madrid's record scorer in La Liga. The former Manchester United player has 230 goals in the Spanish top flight, passing Raul's tally of 228, and is now the fourth-highest scorer in the competition's history. Outstanding effort by the 30-year-old. If Lionel Messi is to get his La Liga goal account up and running for the season then he is going to have to do it from the substitutes bench. Having missed training on Friday following the birth of his second boy, Messi is on the bench. Brazilian midfielder Rafinha is recalled while keeper Marc-Andre ter Stegen starts in place of injured Claudio Bravo. Former Chelsea full-back Filipe Luis starts for Atletico. La Liga is back and what a blockbuster to resume with after the international break as 2013-14 title winners Atletico Madrid entertain reigning champions Barcelona in the first big heavyweight showdown of the Spanish season. Both teams have made 100% winning starts to the domestic campaign. Both teams have yet to concede in the league. The winners will go to the top of the table. Who will be looking down on the rest later? He's one of the greatest players the game has seen and plays for the reigning champions of Spain and Europe. He is a hero in Argentina - as well as Barcelona - and he has just become a father for the second time. Lionel Messi appears to have everything. Except a 2015-16 La Liga goal. Will that change at the Vicente Calderon?